Beschreibung: The Command Station: is the brain of your control system. The Command Station takes in commands from many sources, such as throttles, formats the commands into appropriate locomotive commands and sends out the finished information to the track boosters. The Command Station also provides a window into the status and operation of all the connected parts. It has several diagnostic modes which help pin down the cause of any odd operation issues. 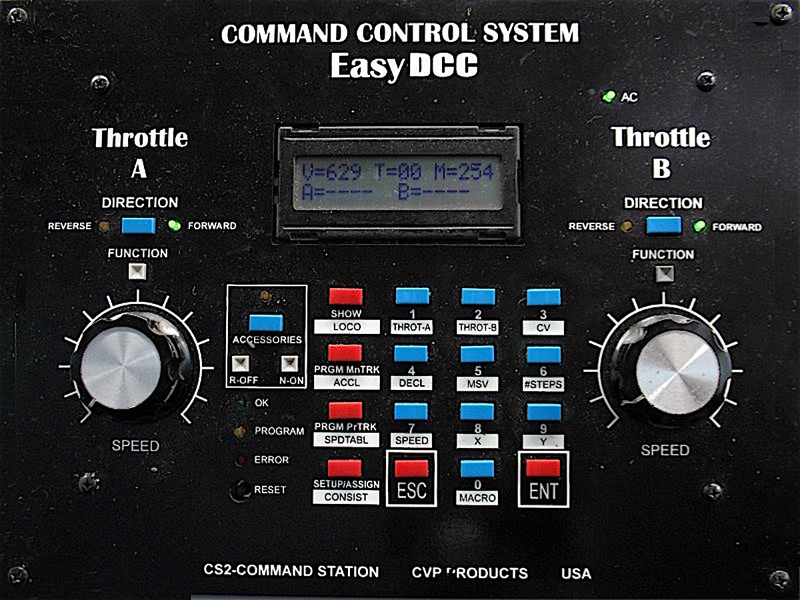 The Command Station automatically handles the complex and inter-dependent timing of throttle commands such that every operator is provided with excellent response to all locomotive commands issued from a throttle.